Verly low amplitude signal is a signal that appears to have the normal square wave shape but a very low amplitude, often barely visible and not distinct enough to provide clear signal to the receiving device. 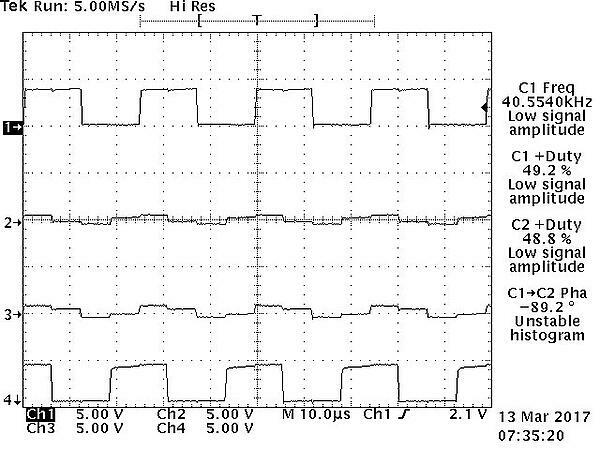 Traces with ultra-low amplitude but small variation are typically a result of open wires at the encoder end. The amplitude variation is a result of crosstalk from different channels with good contacts. 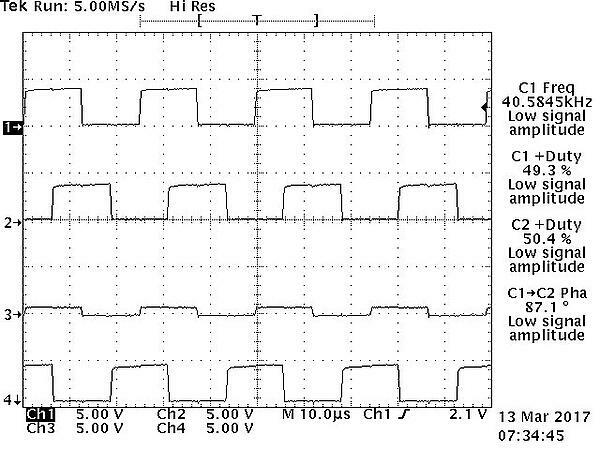 If two channels are left open, there may be some interference that mimics the anomalous pulses seen in the shorted wire example above, but the key point to remember is that the traces of the two channels will not match exactly. Possible causes can include wires with so little metal exposed that they do not make good contact in the terminal strip. Screw terminals may not be tight, especially if the wire is not soldered in place. In harsh environments, the encoder or wires can get bumped. Open wires can also present as a flat line, the more intuitively obvious indicator.The flat line traces are caused by open wires at the receiving device end. Do one or more channels have very low amplitudes? if only one channel, does it appear to be a clean square wave? If two channels, does the signal appear to show interference? If two channels with interference, are the waveforms different (if they are identical, the issue is not open wire). 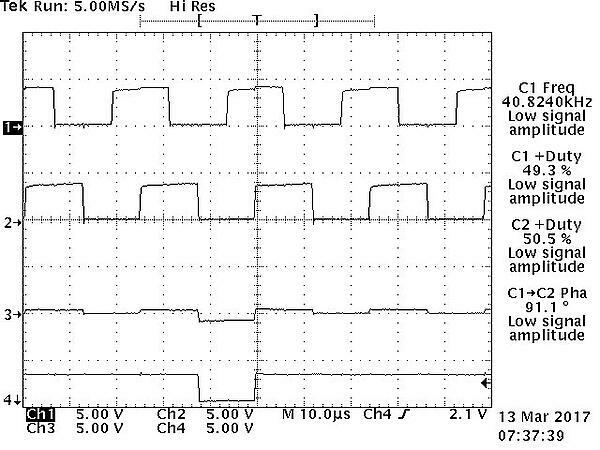 Very low amplitude signals are most likely a system issue and not an issue with the encoder itself. Check wires to ensure connections are tight. Try disconnecting and reconnecting the encoder. Look at the signal within the scope, if possible.